Born in St. Catharine's, Ontario, Canada, in 1906, Ralston Crawford grew up in Buffalo, New York, the only son of a ship captain. As a young man, he traveled the world on tramp steamers. During the 1920s, he studied at the Otis Art Institute, Los Angeles, and at the Pennsylvania Academy of the Fine Arts, Philadelphia, under Hugh Breckenridge. In 1928, Crawford began attending Breckenridge's summer school in East Gloucester, Massachusetts. 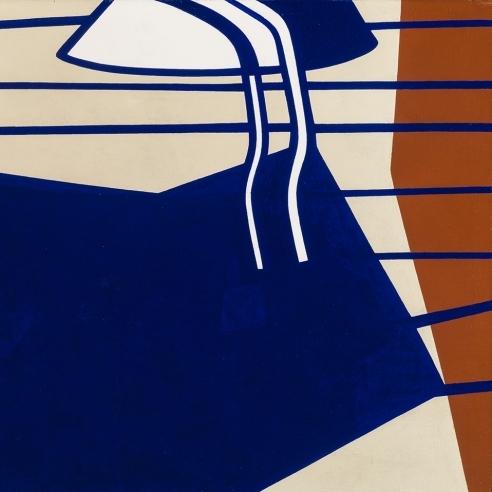 Exposure to Breckenridge's modernist tenets and idealistic philosophy shaped Crawford's approach to art as his career developed. Crawford moved to Buffalo in 1942, where he took a position as visiting instructor at the Albright Art School. Crawford had spent much of his boyhood in Buffalo, and often traveled around the Great Lakes with his father. Now, as a mature artist, he was drawn again to the harbor, with its large cargo ships, grain elevators, and industrial architecture. 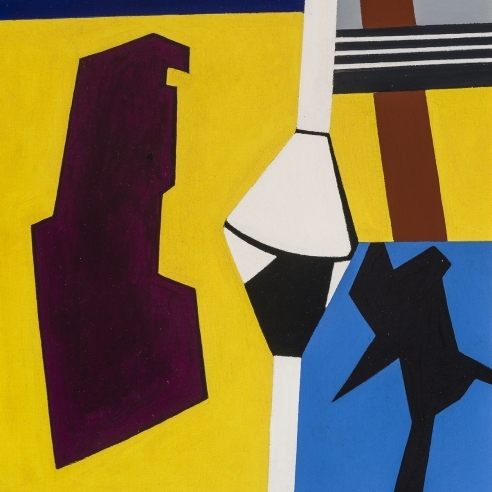 Whereas in his earlier work Crawford had often exploited dramatic perspective, by about 1941–42 he began to reduce compositional elements to their fundamental shapes, flattening them, and pushing them close to the picture plane.